So did you know that Chess Boxing is a thing? How it works: the same two guys alternate boxing and playing chess. If you win either, you win the chess boxing match. 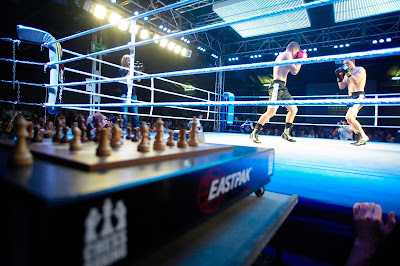 Wikipedia: "A full match consists of eleven rounds: six rounds of chess, each four minutes long, and five rounds of boxing, each three minutes long."